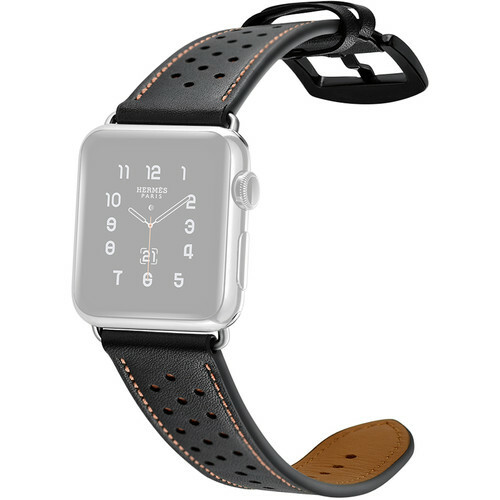 Personalize your Apple Watch with this Genuine Leather Band in hybrid black from CASEPH. Designed to fit all 38mm and 40mm versions of the Apple Watch, this band is closes with a steel buckle and can be configured for variable lengths. It fits individuals with wrists measuring 6.3 to 8.4" around. Box Dimensions (LxWxH) 7.2 x 2.1 x 0.65"